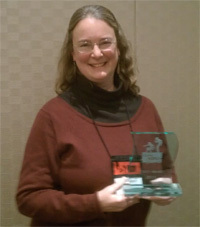 My latest Chloe Ellefson mystery, The Light Keeper’s Legacy, has received the 2013 LOVEY Award for Best Traditional Mystery! 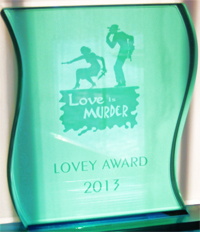 This honor was bestowed by a vote of the readers, writers, agents, and publishers attending the Love Is Murder mystery writers’ conference in Chicago, the Midwest’s premier mystery/romantic suspense/thriller gathering. 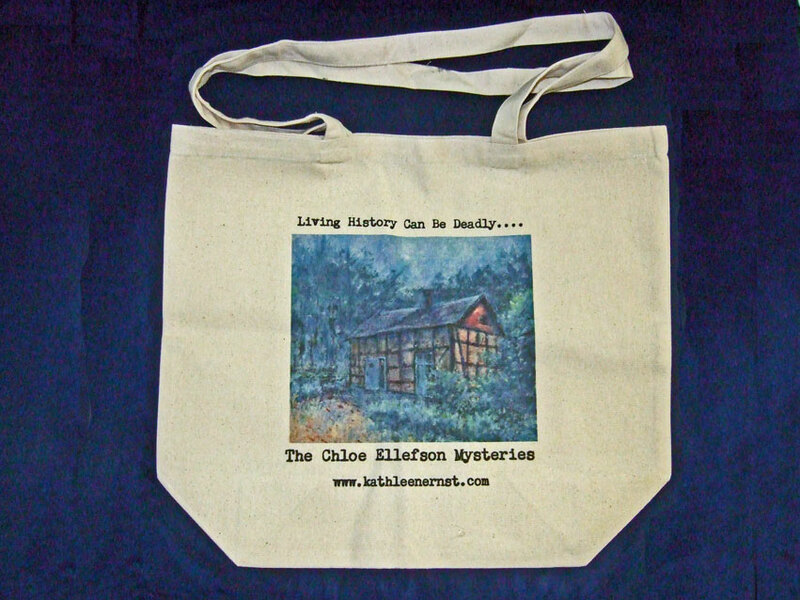 To celebrate, I’m giving away three special-edition Chloe Ellefson Mysteries totebags. The bags feature the Chloe series tagline—Living History Can Be Deadly—and an original painting of one of Old World Wisconsin’s restored buildings. A very talented artist, Tom Redman, created the delightfully atmospheric scene. Interested? Just leave a comment below, and your name will go into the drawing. I’ll pull three names on Monday evening, February 11th. I’m truly grateful for all the support I’ve received from readers. I love what I do, and you make it possible! UPDATE: Congratulations to Carolyn C., Cheryl P., and Dixie B., winners in the totebag giveaway. All three winners entered via my Facebook page. Thanks to everyone who shared such lovely comments. This was so much fun we’ll definitely do it again some time!